The Committee met to be briefed by the Auditor General of South Africa (AGSA) on the audit outcomes of the Department of Home Affairs (DHA), the Electoral Commission (IEC), the Government Printing Works (GPW) and by the Department of Home Affairs on its Annual Report for the 2016/2017 financial year. Prior to briefings, the Chairperson noted that he received a letter from the EFF requesting him to invite the Minister of Home Affairs to clear matters that were being published by the media and a letter from Mr M Waters (DA) which sought clarity on the IEC’s progress. He noted that the Minister was scheduled to brief the Committee in the following week and that the IEC would be briefing the Committee in that week. The question was raised on whether Mr Malusi Gigaba, Minister of Finance, would be invited to brief the Committee on the naturalisation of the Gupta family. The AGSA was first to brief the Committee. Its brief focused on examining three areas of annual audits, including: (i) fair presentation and absence of significant misstatement in financial statements; (ii) reliable and credible performance information for predetermined objectives and (iii) compliance with all laws and regulations governing financial matters. The AGSA noted that the DHA achieved an unqualified audit opinion in 2016/17. This was due to the Department performing a detailed reconciliation of the inter-departmental receivables from the Department of International Relations and Cooperation (DIRCO) and DHA and DIRCO signing a legal agreement to offset the interdepartmental payable owed to DIRCO against the receivable. Despite achieving an unqualified audit, there was irregular expenditure in the Department and its entities over three years. In spending, the DHA had irregularities of R146 million related to security contracts. On the other hand, the Government Printing Works irregularly spent R149 million in terms of on-going identified contracts whereas the IEC’s irregular expenditure relating to on-going accommodation contracts which stood at R38 million. Main areas of non-compliance within Supply Chain Management causing irregular expenditure included continuation of concluding irregular contracts, procurement without competitive bidding or quotation process, deviations approved without justifiable reasons and tax clearance certificates which were not obtained or invalid when contracts were awarded. The AGSA noted that there was fruitless and wasteful expenditure over three years. With DHA, such expenditure stood at R241 million. For GPW and IEC, such expenditure stood at R0 and R9.8 million, respectively. AGSA noted that interest and penalties caused 100% of the fruitless and wasteful expenditure. The AGSA presented top four root causes, follow up on commitments and proposed recommendations. The four root causes included slow response by management, instability or vacancies in key positions, lack of consequences for poor performance and transgression and inadequate management oversight. Recommendations for improving Supply Chain Management findings included a less tolerance approach, strengthening the Supply Chain Management control environment, submission of irregular reports, corrective or disciplinary action for misconduct and paying a focus on preventing irregular expenditure and non-compliance. Members welcomed the presentation and said that they would always motivate the Department to engage with the AGSA in order to improve its performance. They remarked that if the DHA got a ‘green audit’, it did not mean that the DHA should celebrate because this was what the Committee encouraged and was expecting them to achieve. However, they raised concerns over how the ‘green audit’ was achieved when the DHA had huge irregularities in spending allocations and faced challenges of corruption and fraud and thus asked what requirements were utilised to arrive to an unqualified audit outcome. The DHA then briefed the Committee. First, the DHA noted that Mr Vusumuzi Mkhize, who was Deputy Director General of Civic Service was no longer with the DHA and that he was appointed the Director General of Arts and Culture and he was announcing this officially. The DHA briefed the Committee on its annual performance. It was noted that the DHA had a total of 32 targets planned for the 2016/17 financial year. A total of 27 targets were achieved representing an 84% achievement rate, which was a 3% improvement against the achievement of 81% of the previous year. A total of 5 targets (representing 16%) were not achieved. The DHA noted that during the 2016/17 financial year, it underspent its allocation by 0.15%, equalling R12 million. The under-spending was as a result of delays in the implementation of Voice Over Internet Protocol (VOIP) and video conferencing. As a result, National Treasury approved to roll-over funds to 2017/18. With regard to departmental revenue, the sale of goods and services included foreign revenue of R298 million collected by DIRCO on behalf of the Department as compared to the last financial year’s amount of R332 million. The DHA reported that there was non-compliance with legislation. In this regard, financial statements submitted for auditing were not prepared in accordance with the prescribed financial reporting framework and supported by full and proper records. There were material misstatements of current assets, current liabilities and cash flow identified by AGSA. These misstatements were corrected. Finally, it was not all contractual obligations and money owed by the Department that were settled within 30 days. In its conclusion, the DHA noted steps to be taken to improve the audit outcome and the way forward. Members welcomed the presentation and raised their concerns over the challenges of litigation faced by the DHA and felt that the Department’s legal team was not effective in dealing with legal challenges. They were of the view that the DHA needed a fully-fledged legal team that would deal with legal challenges faced by the Department effectively. They asked questions on ceiling of employees and what the status of filling positions was, on challenges of issuing ID’s and registration of births, on irregular expenditure and what the DHA was doing in order curb corruption, fraud and other crimes. Members also wanted to know what the progress on weekend work was, irregular contracts and the role of the South African Students Congress (SASCO) in rolling out smart IDs. The Chairperson noted that the AGSA would give audit outcomes on the DHA, GPW, and IEC; and that the DHA would be presenting its annual report. The GPW and IEC would be presenting on its annual reports on Thursday. He welcomed delegations from the DHA, GPW and IEC and said that Mr Jackson McKay was leading the delegation from the DHA as was Acting Director-General. The Chairperson said that he received a letter from EFF, requesting him to invite the Minister and Deputy Minister of Home Affairs to explain themselves about things circulating in the media. There was another letter from Mr M Waters (DA) which sought clarity on the IEC’s progress. With regard to the clarity sought, he noted that the IEC would be briefing the Committee on Thursday and Mr Waters’ concerns would be responded to. Ms H Hlope (EFF) said that she appreciated the fact that the Chairperson noted her letter in the meeting. She confirmed that the letter was about requesting the Chairperson to call the Minister to come and brief the Committee about things circulating in the media and to advise the Committee who was acting as the Director General of the Department since the Director General was removed. She commented that she sent a letter to the Chairperson and she would like a response from the Chairperson in writing, too. Mr M Hoosen (DA) asked the Chairperson to clarify on whether the Minister would be coming to brief the Committee and asked an update on the invitation of the former Minister of Home Affairs, Mr Gigaba. Would he be coming to brief the Committee on Gupta’s saga? The Chairperson said that he was not in position to answer the last question. He noted that, in the last meeting, the Committee resolved that they should first have all documents that were needed in order to know the real situation. He recalled that the motion to call the Minister of Finance (i.e. Mr Gigaba) was defeated and divided the Committee. He was saying all this in order to refresh their memories about the last meeting and the decision that was taken in that meeting. Mr D Gumede (ANC) noted that he shared the same concern expressed by the EFF and was satisfied by the Chairperson’s response. Since the Minister was coming in the following week to brief the Committee, he was satisfied. He also remarked that the Constitution provided the way for certain issues to be resolved. The Constitution should be taken into account. The Chairperson reiterated that, as per the previous resolution, the first thing that the Committee had to do was to collect relevant information from the Department. This information would guide the Committee on action to be taken. Although Mr Hoosen’s motion was defeated, it did not mean that the matter was put to rest. Mr Hoosen remarked that in the previous meeting, there was no disagreement on the matter. What happened was that ANC members opposed that the Minister of Finance should not come. He further remarked that the Chairperson was delaying matters deliberately so that the Minister of Finance should not be called to account. He wanted a straight answer from the Chairperson on whether Mr Gigaba would be invited or not. The Chairperson should refrain from defending the Department. The Chairperson said that he would accept all allegations because he was chairing. He was not defending anyone because the matter was not closed. The Department was present and might say something on when information might be availed. He noted that he was not going to entertain these questions since he might lose his cool. Ms Hlope reiterated that she raised matter to the Chairperson in writing and expected that he would answer in writing. If he could have answered, she could not raise this matter. She asked the Chairperson what he meant when he stated that he might lose his cool. She wanted to know who was leading the delegation of the DHA since there was no longer a DG. The Chairperson said that he indicated that Mr Mckay was acting as DG. He reminded Ms Hlope that the EFF wrote a letter to him as the Chairperson of the Committee and not him as individual. For that reason, he noted the letter for her to speak about it in order to facilitate Members to take a resolution on it as a Committee. The Chairperson could not proceed and invite the Minister without Members being aware of the letter. One thing he could do was to acknowledge the letter. Mr Carl Wessels, Senior Manager, AGSA, took the Committee through the presentation. He noted that the annual audits examined three areas: (i) fair presentation and absence of significant misstatement in financial statements; (ii) reliable and credible performance information for predetermined objectives and (iii) compliance with all laws and regulations governing financial matters. He noted that the DHA achieved an unqualified audit opinion in 2016/17. This was due to the DHA performing a detailed reconciliation of the inter-departmental receivable from DIRCO; and DHA and DIRCO signing a legal agreement to offset the interdepartmental payable owed to DIRCO against the above receivable. Despite achieving an unqualified audit; all three entities incurred irregular expenditure in the 2016/17 financial year. In spending, the DHA had irregular expenditure of R146 million related to security contracts. On the other hand, the GPW irregularly spent R149 million in terms of on-going identified contracts, whereas the IEC’s irregular expenditure related to on-going accommodation contracts stood at R38 million. 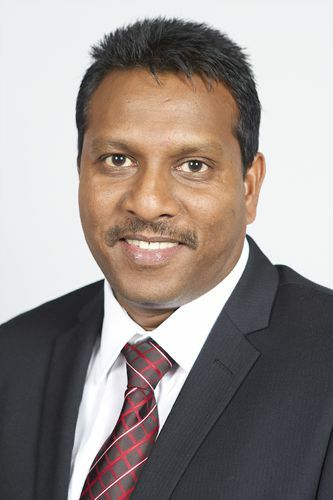 He said that main areas of non-compliance within SCM that caused irregular expenditure included continuation of concluding irregular contracts, procurement without competitive bidding or quotation process, deviations approved without justifiable reasons and tax clearance certificates which were not obtained or invalid when contracts awarded. Mr Wessels noted that there was fruitless and wasteful expenditure over three years. With DHA, such expenditure stood at R241 000. For GPW and IEC, such expenditure stood at R0 and R9.800 respectively. He noted that interest and penalties caused 100% of the fruitless and wasteful expenditure. Mr Wessels noted the two root causes: follow up on commitments and proposed recommendations. The two root causes included slow response by management and instability or vacancies in key positions. Recommendations for improving SCM findings included a less tolerance approach, strengthening the SCM control environment, submission of irregular reports, corrective or disciplinary action for misconduct and paying a focus on preventing irregular expenditure and non-compliance. The Chairperson said that the Committee would always motivate the Department to engage with the AGSA in order to improve its performance. He remarked that if the DHA got a ‘green audit’, it did not mean that they should celebrate it because this was what the Committee encouraged and was expecting them to achieve. He welcomed members to seek clarity on certain matters that were unclear to them. Mr Hoosen congratulated the AGSA on making documents easier to digest and understand. He agreed with AGSA that the DHA recorded some progress and however, disagreed with AGSA in stating that the Committee performed well with respect to oversight visits. How did AGSA measure the oversights of the Committee? In his knowledge, it was increasingly difficult for the Committee to carry out its oversight. He did not feel that the Committee conducted enough oversight. He asked what the cause of irregular expenditure was with regard to security contracts. What did irregular expenditure on GPW mean? He remarked that irregular expenditure of the DHA was about R300 million and thus asked how the DHA achieved a ‘green audit’. What were there requirements that were taken into account to arrive to unqualified audit outcome? With regard to targets, he said that he was suspicious that the Department set low targets in order to achieve them and asked whether the AGSA looked at how targets were set. Ms Hlope said that he would put questions to AGSA but the Chairperson should stop from defending the Department because members were there to engage with the AGSA and DHA. She said that she was not going to attack the Chairperson. The Chairperson said that he was anyway being attacked. He said that he was not defending the Department; he was just reminding Members about issues discussed and how they were deliberated on. He asked the AGSA to elaborate further on irregular expenditure and what was its opinion on on-going security contracts. With regard to non-compliance, he said that non-compliance should be defined as fraud and a serious matter. He said that the AGSA noted that it met with the Minister and asked whether one meeting was enough. Given that the Minister was new, was she able to give answers to questions or did she say that she would need to be advised on them first? Ms N Dambuza (ANC) congratulated the Department on its improvement on performance. She asked whether the correction of misstatements occurred after finalising the report. If there were financial misstatements, irregular and fruitless expenditure, why did the DHA achieve an unqualified audit outcome? With regard to non-compliance, it was noted that there were payments made without approved delegation of authority. That was not right. She said that a report was needed on goods and services procured without permission or compliance with laws and regulations. Ms D Raphuti (ANC) commented that the DHA should be applauded for its work well done. The Department should not worry about the tendency of some Members to criticise. Referring to GPW, she noted that vacancies were due to competitive salaries in the printing sector. That was the reason there were instability and vacancies in the key positions. 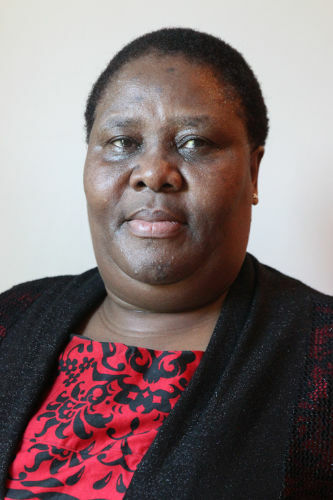 Ms T Kenye (ANC) expressed her concern over the increase in irregular expenditure and non-compliance with laws and regulations and said that there were no good recommendations to rectify these issues. Mr Gumede thanked the DHA for improved performance. He noted that improved performance was good to the country and such improvement was gained owing to good leadership. He expressed his concerns over unfilled vacancies and asked what caused the high vacancy rate and what kind of instability was caused by vacancies. Were vacancies due to a competitive atmosphere? With regard to the GPW, he asked whether there was an internal audit or whether financial problems could be linked to the absence of an internal audit or a lack of human resources. He expressed concerns over irregularities in financial performance. The Chairperson responded to Mr Hussein and said that it was advisable to have an external assessor because internal assessments might be biased. External assessors would take away the biased party as it would be called an objective assessment as such an assessment was substantive. He appreciated that the Department performed well. Mr Wessels responded that he would try to answer all questions. On how the AGSA assessed the Committee, he said that the AGSA reviewed the oversight conducted by the Committee taking into consideration the Committee’s engagement with the Department, the performance plans and reports submitted to Parliament, including debates and deliberation on the performance of the DHA and its entities and recommendations made. On irregular expenditure, the AGSA looked at contracts that were identified from previous years and followed the process to see whether irregular expenditure was condoned or not. If it was condoned, it would not be irregular anymore. Regarding the IEC, R38 million irregular expenditure related to accommodation contracts was not condoned. Both the IEC and GPW approached National Treasury for condonation. The DHA was investigating these expenses to determine whether they could be condoned. Mr Wessels explained that programme one was not audited because the AGSA selected a sample of programmes based on the mandate of the department and money spent to implement these programmes. On the question of how the AGSA arrived at awarding an unqualified audit, he responded that they looked at whether the financial statements are free from material misstatements. This means that the financial statements are supported with valid accurate and complete supporting information. If there were misstatements to the financial statements and/or the financial statements were not supported with valid accurate and complete evidence the audit opinion will be qualified. The Department had errors in the financial statements that they submitted for audit on 31 May 2017 but these errors were corrected and audited and therefore the AGSA could express an unqualified audit opinion. The overall performance of portfolio improved due to the Department moving from a qualified opinion obtained last year to an unqualified opinion in the current year. There were criteria that were used to assess the performance of the Department. When the Annual Performance Plan was received, it would be assessed to determine if measureable in terms of meeting achievable targets. On meeting the Minister, he noted that that the AGSA met with the Minister twice and has requested commitments from the Minister to address the audit outcomes. The Minister was very positive about improving the audit outcomes for the portfolio and committed to provide official commitments. The commitments would be provided to Members through the Chairperson when the AGSA receives it. With regards to accountability, he noted that the AGSA developed a booklet containing factors to look at in order to assess accountability which could be distributed to the members again. The PFMA allowed account officers to provide authority or to delegate power to certain levels by way of a signature in order to act in certain manner. The GPW spent money without delegated authority. The Chairperson asked for clarity on how the DHA received an unqualified audit when there were huge irregularities in the financial performance. Mr Wessels responded that the AGSA looked at three areas. The first one was a fair presentation and the absence of misstatements in the financial statement; second the performance information and thirdly the compliance with laws and regulations. This included how goods and services were procured and whether they were paid within 30 days and whether authority was delegated. The Chairperson asked Mr Mckay to state the position of Mr Vusumuzi Mkhize, who was Deputy Director General of Civic Service. He had information that he might have been appointed as the Director General (DG) of Arts and Culture. Mr Jackson McKay affirmed that Mr Mkhize was no longer with the Department and that he was appointed the DG of Arts and Culture and he was announcing this officially. Mr McKay took the Committee through the presentation. He noted that the DHA had a total of 32 targets planned for 2016/17 financial year. A total of 27 targets were achieved representing 84% achievement rate, which was a 3% improvement against the achievement of 81% of the previous year. 5 targets (representing 16%) were not achieved. Mr McKay said that during the 2016/17 financial year, the Department underspent its allocation by 0.15%, which was R12 million. The under-spending was as a result of delays in the implementation of VOIP and video conferencing. As a result, National Treasury approved to roll-over funds to 2017/18. With regard to departmental revenue, he noted that the sale of goods and services included foreign revenue of R298 million collected by DIRCO on behalf of the Department as compared to R332 million in the last financial year. Mr McKay noted that there was non-compliance with legislation. In this regard, he said that financial statements submitted for auditing were not prepared in accordance with the prescribed financial reporting framework and supported by full and proper records. There were material misstatements of current assets, current liabilities and cashflow identified by the AGSA. These misstatements were corrected. Finally, he noted that it was not all contractual obligations and money owed by the Department that were settled within 30 days. In conclusion, McKay noted steps to be taken to improve the audit outcome and the way forward. The Chairperson said that the Department should prepare to brief the Committee on litigation. He felt that the legal team was not effective in dealing with legal challenges. The DHA needed a fully-fledged legal team that would deal with legal challenges faced by the Department effectively. He asked a question on ceiling of employees and on what the status of filling positions was. Ms Hlope welcomed the presentation. Referring to the issuances of ID documents, she said that she supported the recommendation of the AGSA and noted that the moratorium was lifted. She also said that many people in the Department were acting but this problem was not captured in the report. She asked what the action of the Department would be in the context of employing its own security agents. Security companies were getting a lot of money and there was a need to elaborate on this. What was the Department intending to do with people who were committing crimes within the Department. What was the Department was doing in order to curb corruption and other crimes? On the smart card, the Department achieved 80%. However, there was no indication that it would be working over weekends. Was the Department operational over weekends? Mr A Figlan (DA) said that he thought that the presentation would touch on how borders could be secured, but it did not. He was worried about weekends because students could be served during weekends. If the DHA was not going to be open over weekends, what was the plan B? The question of accommodation should be clarified, especially on whether it fell within the mandate of the DHA or the Department of Public Works. Ms Kenye commented on the problem of irregular contracts that cut across between DHA and its entities, the GPW and IEC and asked whether the Department would return to application of basics in order to resolve the problem. Ms Dambuza agreed with the AGSA that there was a lack of consequences for non-compliance and felt that the recommendation of the AGSA on the matter should be taken seriously. She said that there were no interventions taken in terms of challenges relating to financial performance. She asked whether the national evaluation study to scientifically determine the reasons for citizens not registering their children within 30 days was finalised. If finalised, could the Department brief the Committee on it? On the budget cut, she asked whether the budget cut applied to the national department or extended to include provincial departments. Mr Hoosen expressed his concern over the issue of accountability. He said that corruption was rampant in the Department and asked why the zero-tolerance approach could not be utilised in order to ensure that crimes were eradicated. He said that he was not convinced with the statement that “financial statements submitted for auditing were not prepared in accordance with the prescribed financial reporting framework and supported by full and proper records”. The statement was just a cover-up. The Department should give a sense to the Committee that they would be firm with people who were corrupt. He asked what the role of SASCO was in rolling out smart IDs. He remarked that there was a significant increase in litigation and asked why the legal team was not effective and why litigation was increasing. He asked why certain companies were not being paid and, as a result, took the litigation route. With regard to registration of births, he noted that mobile trucks did not help to reach the registration target and this was due to poor network connectivity. Mr M Kekana (ANC) stressed that he felt disappointed. The presentation was very disappointing. He said that ever since he started dealing with Home Affairs, Members were raising the same thing until today. Members could not raise the same issue everyday: corruption. He wanted to propose one thing. There ought to be a serious investigation on the functioning of the Department. As former executive officer, he could see that officials were not being clear on what Members were asking. They were covering each other. The AGSA was covering them, too. It was a mistake to call the AGSA along with the Department to present as the presenter of AGSA was not comfortable to accuse officials of the Department in their presence. This led the AGSA to provide a report full of contradictions. The Department itself was rotten and needed a serious investigation that would lead to an inquiry into officials’ actions. Ms Raphuti said that she was concerned with litigation. She felt that the Department’s legal team should be funded, such as the Road Accident Fund’s legal team. She asked why people were not paid on time as that failure violated the PFMA. Mr Gumedi welcomed contractual settlements but felt that such settlement did not have immense value on the economic progress; therefore, the AGSA should monitor it as a hawk. Business could not be allowed to collapse because it created jobs. He therefore expressed concern on the absence of settling payments within 30 days and noted that failure to meet with this requirement impacted on small business and small enterprise. Government could not contribute to collapsing businesses of new entrepreneurs. On the issue of working Saturdays, he asked whether there was enough funding because people working on the weekend received extra payments. Could the Department estimate how much it would cost if workers were to work over weekends? It was everyone’s wish to see the Department operating effectively because anyone could spend a day at the Department without being served. He wanted to check whether the DHA had required staff to do the job. Mr McKay responded that the litigation report was compiled and could have been presented on 12 September 2017, but the meeting was unfortunately cancelled. The Department was ready to come and report on it, including issues raised by Mr Hoosen regarding Double Ring, Atlantic and Firebrand. Some of these cases were sub judice because they were still before court. He asked the indulgence of the Committee to speak about litigation when the report was briefed on. Mr Hoosen said that the Department should respond. If what Mr McKay was saying was correct, the report on litigation would never come before the Committee. It would be okay with him if Mr McKay could respond to questions asked regarding litigation. He feared that the Department was hiding something and therefore the matter would never be discussed. How could the report be ready if the matter was sub judice? The Chairperson noted that a day was allocated for the Department to come and report on all litigation matters. Mr Hoosen said that he objected to what the Chairperson was saying. Members were sitting since the morning waiting for answers and the Chairperson was saying that questions on litigation should not be entertained. This created suspicion. It demonstrated that something was being hid. The Chairperson stated that the report would be sent to the Committee soon and there would be interaction with the Department. It would be good to engage on litigation in the presence of the Minister. Mr Hoosen should bear in mind that Mr McKay was new in a top position. Mr McKay reiterated that some matters could not be talked about because they were sub judice. When the report came, it would give background on the nature of claims, the genesis of it and how it happened. He did not have all the information with him. The question of whether the Department was settling with these companies could not be responded to other than saying those matters were before court. Mr Hoosen said that he asked whether there was an intention to settle the three cases. The response he was receiving was that matters were before court and could not be spoken about. This meant that there was no intention to settle matters. The Chairperson said that the DG should proceed to respond to other questions. On the question of mobile trucks and connectivity issue, he said that the mobile truck unit was not updated. They were developing the electronic live capture solution that could be used by the mobile truck unit. If they were to take these trucks to schools and clinics, they would need to take in documents in old fashion style. Some trucks were very old, more than 10 years old, and could not reach certain areas. It was not even economically viable to repair them. A new generation truck would be procured. The report on the trucks that they were not functional was true. On connectivity, he said that the Department received network connectivity for clinics and hospitals from the State Information Technology Agency (SITA). The DHA procured network with SITA and the SITA procured it with Eskom. On the status of ceiling of employees, Mr McKay noted that the DHA was, in this financial year, able to fill certain positions. As indicated to the Committee, the structure of the DHA should be not less than 18 000. Due to the problem of underfunding, the DHA was not able to fill all those positions. Over the years, the DHA were filling those critical positions which it could not perform without. Put clearly, the DHA adopted an approach of filling key positions that were prioritised. In this way, it filled 10 000 positions and 6 000 positions were prioritised. The list was available to be shared with the Committee, if requested. Most of top management positions were filled including border managers, refugee reception managers, district managers and other officials and IT positions. Other critical positions were identified through consultation. However, the main problem that the Department faced was positions that were vacated either by death, promotions or resignations. Recruitment aggressively started. All positions that fell vacant were prioritised to be filled. On working hours, Mr McKay noted that the resolution was not implemented as quick as expected. On the 15 June 2017, the Department had meetings with three labour unions (NEHAWU, PSA and NUPSAW). One of the unions told the Department that it was giving it a notice of intention to strike. They had to go back to the drawing board for discussion with intervention of two Ministers. It was stressed that employees were not willing to work on Saturdays. The Department had to agree on certain conditions put forward by the union. There were a number of things that had to be done by the Department. On disciplinary actions, Mr McKay responded that there were disciplinary actions that were taken by the Department and natural justice was followed. Offenders were given an opportunity to respond to allegations and the disciplinary processes were going according to plan. On 30 days payment, Mr McKay said that the Department was aware of the impact of delays in payment on small businesses or enterprises. For that reason, the Department had centralised payment at provincial level as this would help to pay invoices on time. A checking system was introduced that could tell them where an invoice was stuck. Around the non-payment of invoices within the prescribed period, disciplinary action was introduced. On the question of irregular expenditure, Mr McKay responded that the problem could be addressed through improvement of governance. In order to improve on governance and management, three committees were established. There were people with required skills. There was a committee that dealt with tenders. There was also the Loss Control Committee, which was established to deal specifically with irregular and fruitless expenditure. The Chairperson said that there was a problem of misstatements (wrong information) in the presentation and non-compliance. Figures were not correct in terms of financial performance. He commented that the Department did not follow the right guide to prepare the report on the performance. On birth registrations, Mr McKay said that the study was commissioned in July. It was conducted by the Department together with the Department of Performance Monitoring and Evaluation (DPME). They would be busy writing the report to be presented in December 2017. On the role of the SASCO, Mr McKay noted that SASCO was engaging on the matter of connectivity, especially on how they could deal with banks. SASCO was fully supporting that project and was concerned with the suspension of workers in the banking sector. In this regard, it had issues with ABSA and the matter was however solved. On the question of litigation, Mr McKay noted that the DHA had a fully-fledged legal unit with required legal skills. The main problem of having huge litigation was that clients was seeing the Department for related issues, for example, delays in issuing documentation such as IDs or permits. On the question of on-going accommodation contracts, Mr McKay said that some of these issues related to landlords. In certain instances, landlords were not taking care of their premises, resulting in movement to new premises. There was a problem of moving from office to office. The major problem was that the Department had no premises like other departments, such as police, defence and health. In a similar fashion we have police stations, clinics, schools and hospitals; the reality was that the DHA should have its own offices. Ms Dambuza expressed her concern over corruption and fraud taking place in the Department and felt that these matters were not touched on in the presentation. She further said that the officials should refrain from covering up for each other simply because members understood how a report should be prepared and presented. Members did not sit just to ask questions. Ms Hlope said that the prioritisation approach was not good. The Department always prioritised positions but, in so doing, they undermined certain positions, which might have a greater impact on poorer people. In his closing remarks, the Chairperson stated that the reports on litigation and birth registration assessment should be sent to the Committee for it to be able to take the DHA on account in upcoming interactions.